What is a “FLASH MOB” you ask? 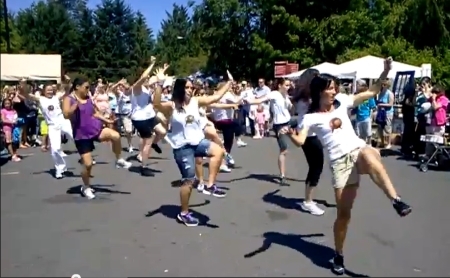 A flash mob is a group of people who secretly organize events or activities in public places. Typically, the do some pre-rehearsed dance or play. These people might not know how many people will show and most of them have no idea who is involved. You might have seen some tv commercials with a guy who gets a message that the flash mob has moved times… only after he has gone through some of his routine.